Brochure. Advertisement for Royal York Condominiums of Elmhurst at 100-110 W. Butterfield Road. 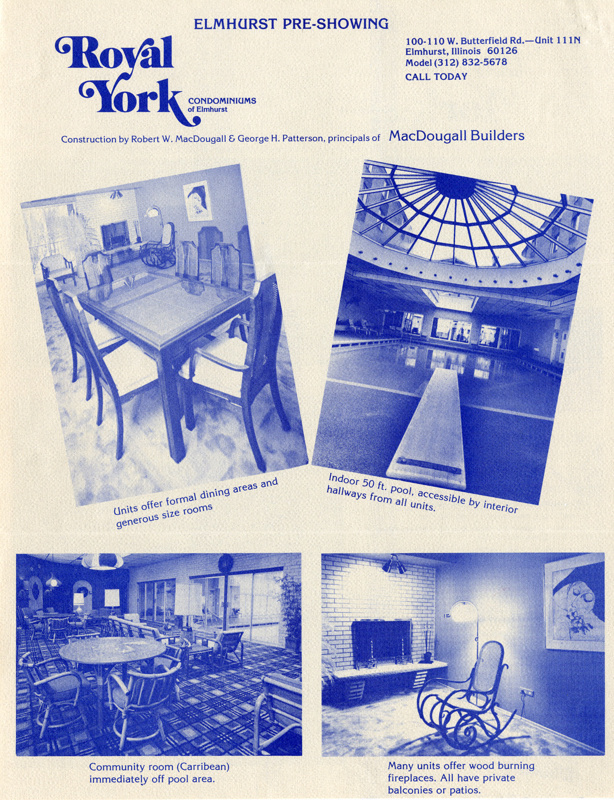 The complex was developed and built by Mac Dougall Builders circa 1969. This is when the Royal York Apartments converted to condominiums.